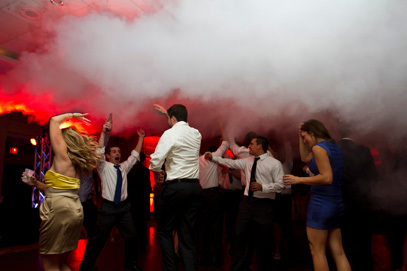 It's not the fog from the 80's...it's compressed cold air, so it is odorless and dissipates in less than a second. 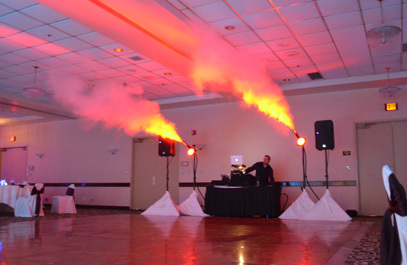 We blast your dance floor, typically late night, with several 3-5 second special effects blasts. 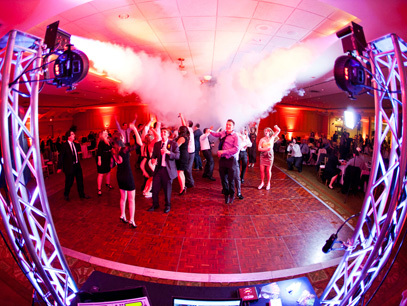 It's sure to create an adrenaline rush for dancers and makes for outstanding photos of the dance portion of your reception. We can blast vertical or horizontal. 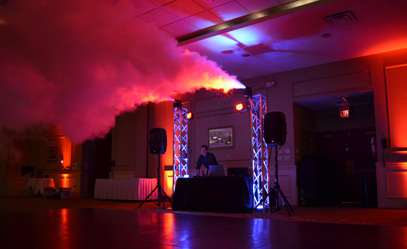 You can also back-light the cloud in any color for added visual effect.